It is August, and the end of the summer is coming very fast. Your summer holiday may be over, and children must go to school soon… But you still have some relaxing days and let’s enjoy them! We give some ideas about how to do. Days in August in Budapest are still long and hot. You can tolerate better the torrid hours if you are drinking in a shady place. There are several pubs and restaurants with a terracewhere you can have a rest and sipping a delicious drink. The best choice for its kind of relaxing is the Roman Beach beside the River Danube. There are several cafeterias where you can not only drink but also eat some typical Hungarian food such as hack & chips or the famous “langos” (lángos). It is quite delicious but if you would like to try more exciting tastes, we recommend you to try “langallo” (kenyérlángos) as well. Langallo is the ‘Hungarian pizza’: it has a thick dough and is usually rectangular. You can also fish in the Roman Beach of Budapest! There are lots of trees, the air is fresh, so it is like a real green-belt. Kopaszi Dam is also a common location for a walk, chatting with your friends, or doing some sport. Yoga-fans love this area! However, dogs are not allowed, in contrast with the Roman Beach. Can you enhance this pleasure? Absolutely yes!You do not need to adore the river only from the bank. Have a cold drink on the board of one of our luxurious boats or ships while you are enjoying the Budapest sunset time on the waves of the River Danube. On the river, the temperature always seems to be milder than in the middle of the crowded city. Join us for a unique sightseeing cruise on board or choose our pizza cruise where we offer you unlimited beer consumption to enjoy the best time of the day. Festivals are held almost every month in Budapest, and they represent various topics. Folk, art, and gastronomy are really common fields. However, most youngsters prefer pop/ rock music festivals the best, and the Sziget Festival (Island Festival) is the king of them. The best Hungarian and famous foreign singers and music bands appear. In 2011, Sziget Festival won the voting race organized by the Yourope (a European festival alliance) and the Festivals Europe. Several foreign tourists visit it from year to year. The first music event was in 1980 on the Shipyard Island (or Obuda Island), but it was not a real festival. Since 1993, it is held every year. If you are an enthusiastic visitor of the festivals, you may need some relaxation after them in a nice and pleasant environment. Our boats or ships are rentable too, so you can escape from the crowd and are able to adore the view both of nature and the magnificent historical buildings on the bank of the river. These two items always offer a beautiful experience, but with the lights of the sunset, it is absolutely unforgettable. Adore sunset times in Budapest in August from our board! The fast-changing blues, golds, oranges, and reds are much more spectacle on the waves where neither buildings nor the crowd disturbs the view than in the center of the city. Join us and enjoy the peace and silence! Of course, there are many kinds of sightseeing tours in August. 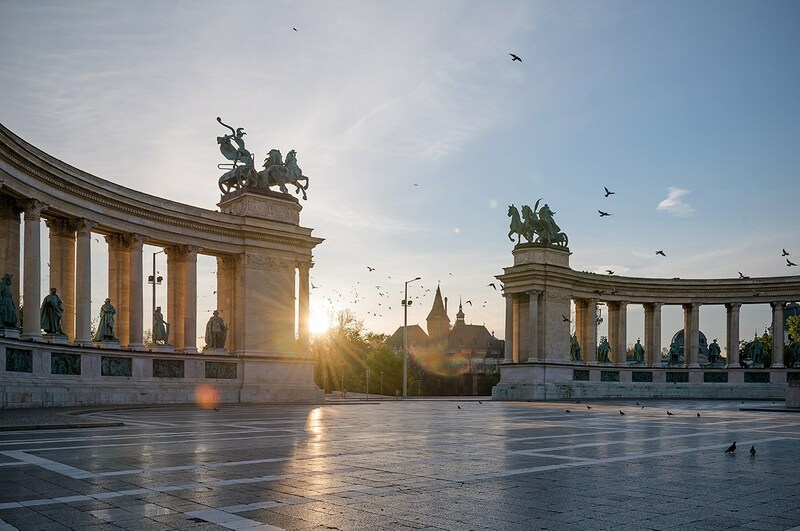 You can choose walking trips, segway tours, or even cruises, and during them, you can discover the most famous and most beautiful parts of the Hungarian capital city. On the 20th of August, Hungarians celebrate the foundation of the state. The king who performed this was Saint Stephan (Stephan I.). At this time, lots of programs, commemorations, and other celebrations are held in the city. And, at the end of the day, you can adore the fireworks from the bank of the River Danube. However, if you want a better view, you can also book another kind of cruise for this night. If you are looking for a good program in August, choose us! Our sunset cruise is suitable for families with children, couples, or company events, too. For romantic atmosphere we offer dinner cruises with live piano music or traditional Hungarian folklore show as well. Our professional staff is ready to satisfy any kind of requirements. Do not hesitate: contact us via our website or phone, book a cruise, and enjoy sunset Budapest today.